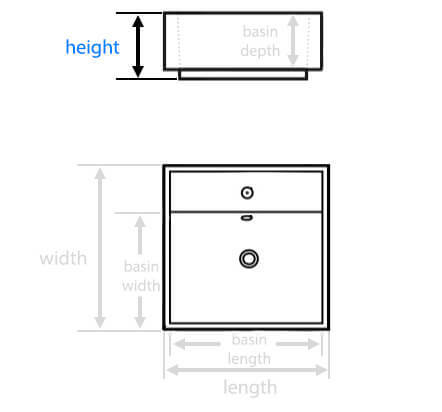 Regrettably, this item is only available in the depicted size. 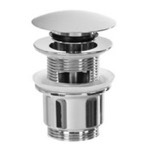 Hello, Do you have the overflow hole finisher in anything besides the chrome shown? 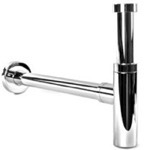 Unfortunately, the overflow cap is only available in polished chrome. 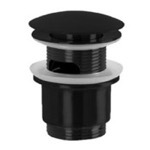 However, the cap is removable and only serves for decorative purposes. 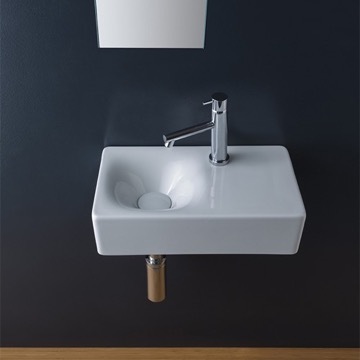 Alternatively, many customers have looked into is working with a professional refinisher to change the finish of the cap to the desired finish. 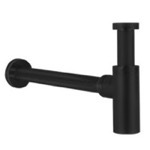 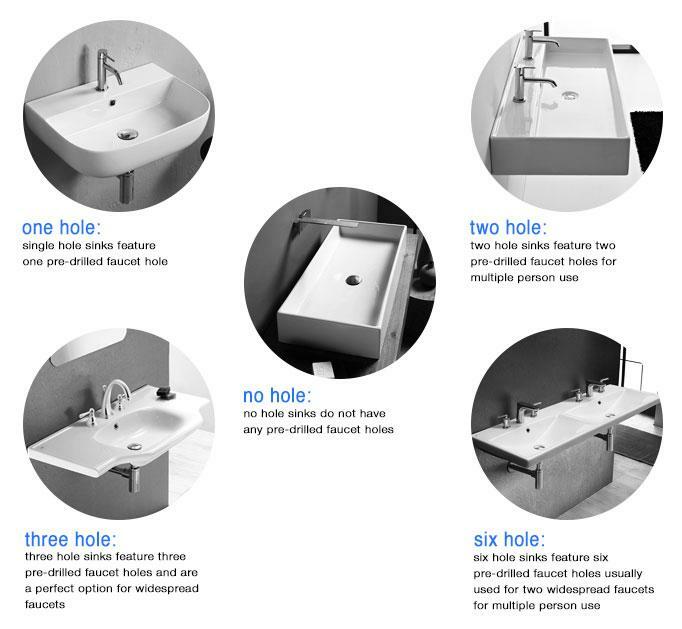 what is the spread of the faucet holes (in inches) for the 3-hole option? 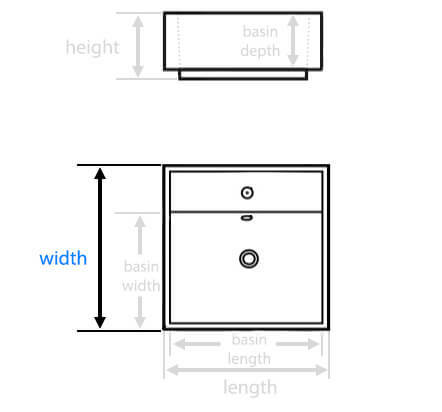 The 3 hole option will be a standard 8" spread. 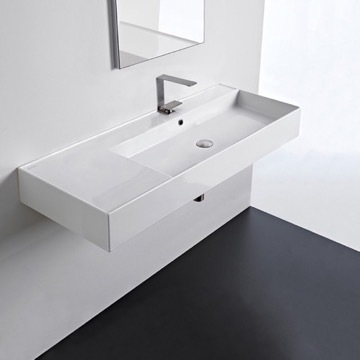 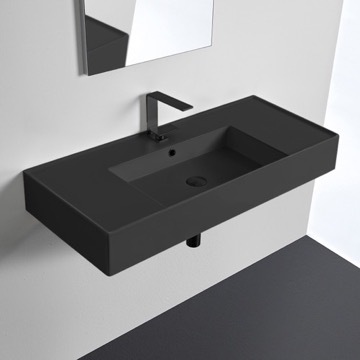 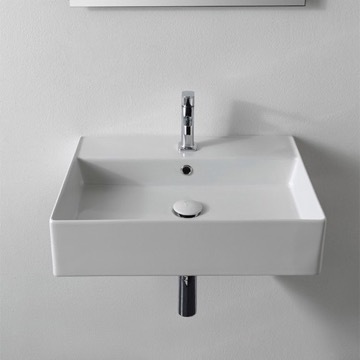 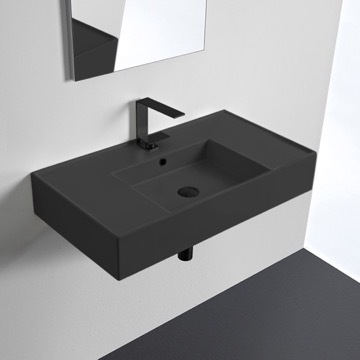 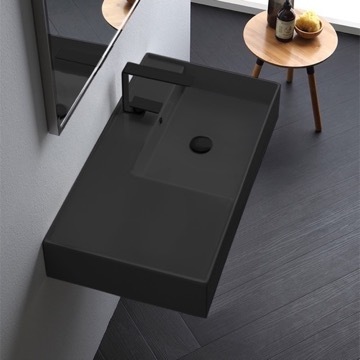 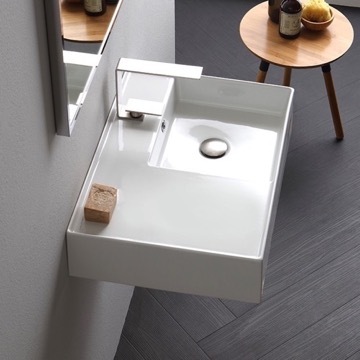 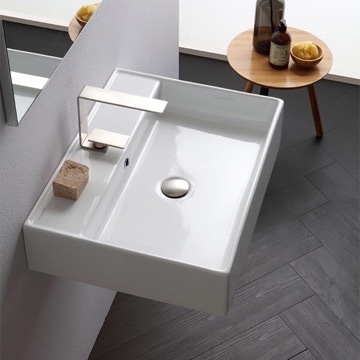 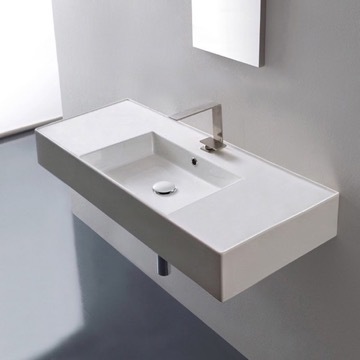 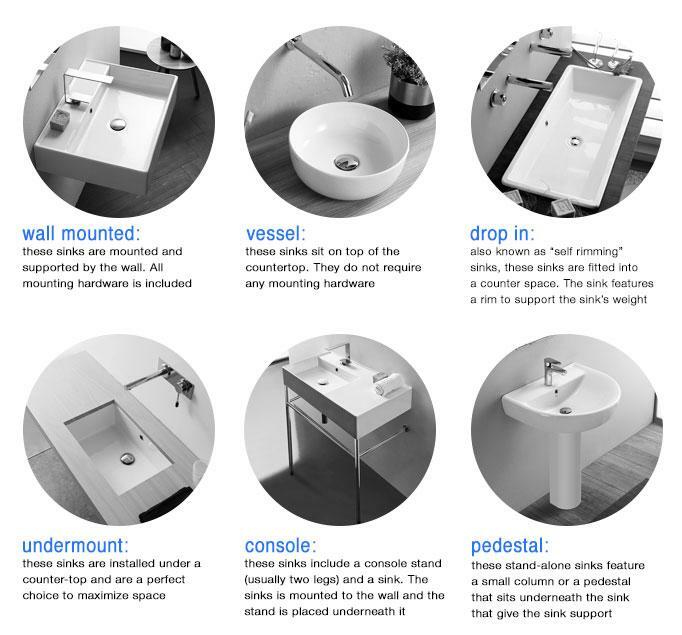 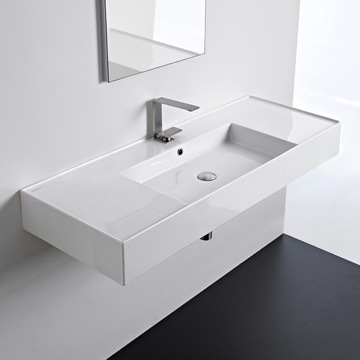 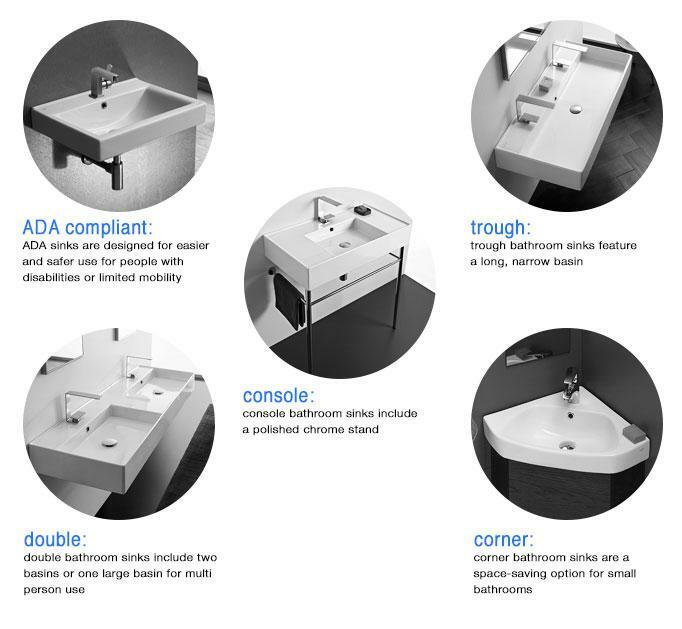 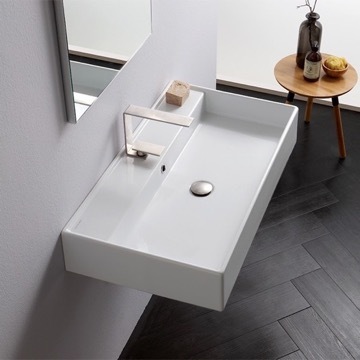 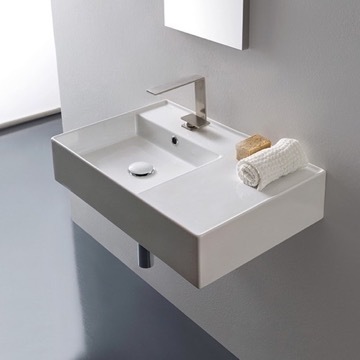 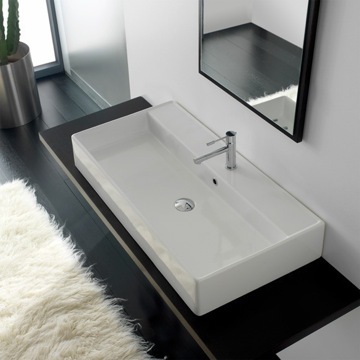 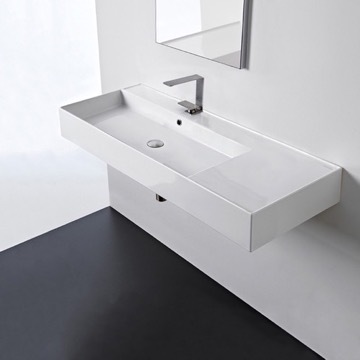 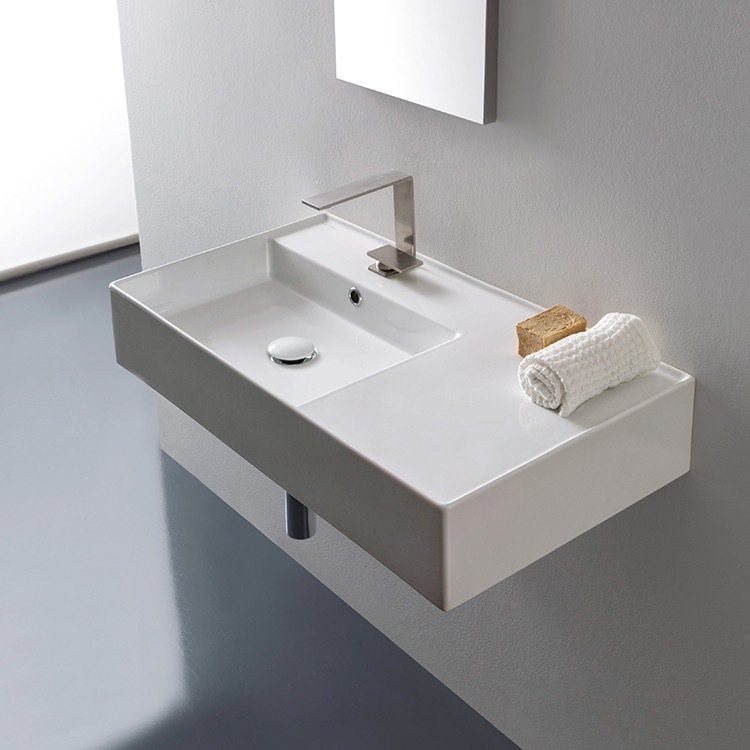 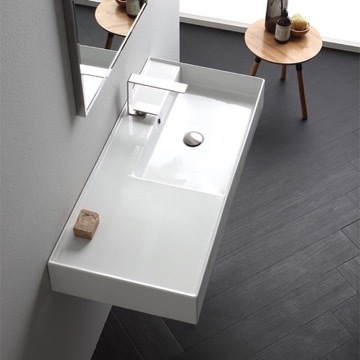 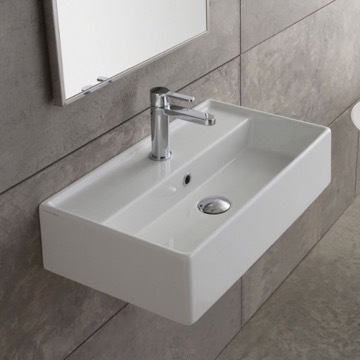 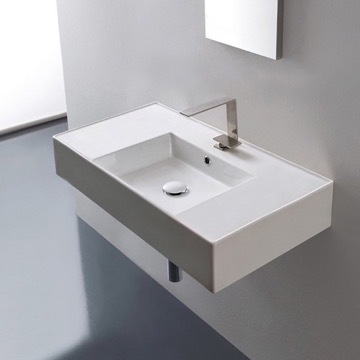 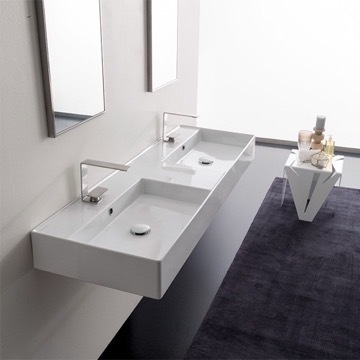 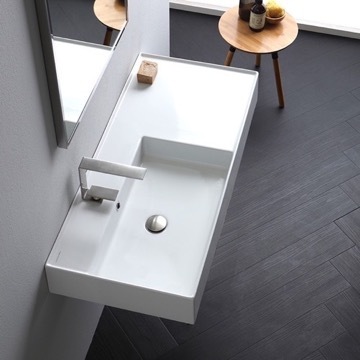 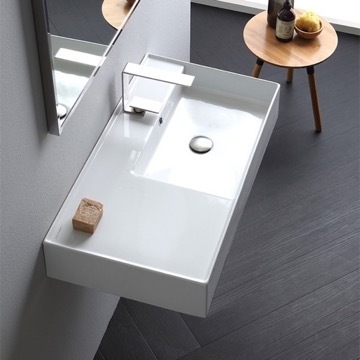 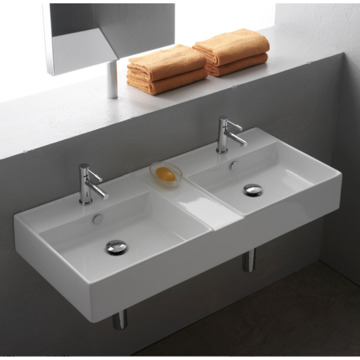 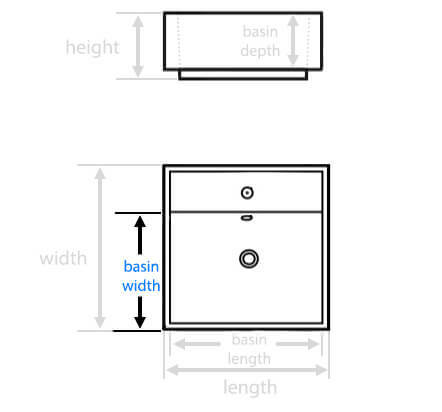 The height of where you'd like to have your sink mounted is solely based off personal preference, style and comfort. 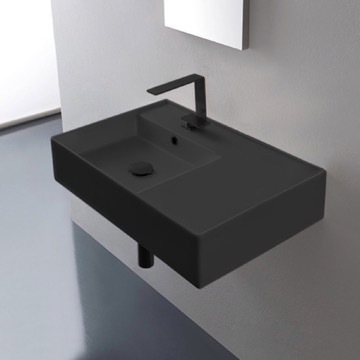 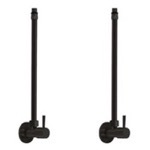 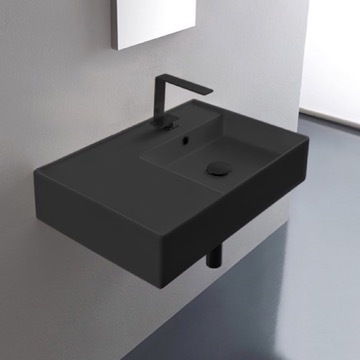 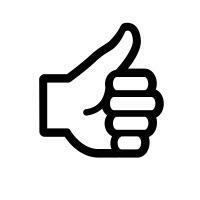 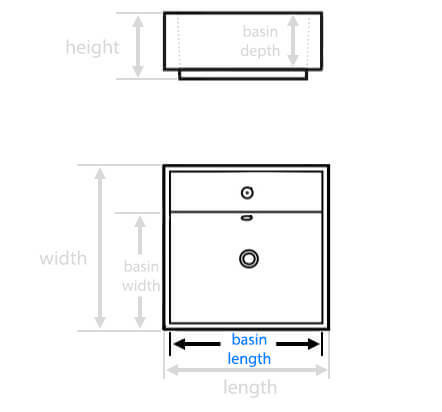 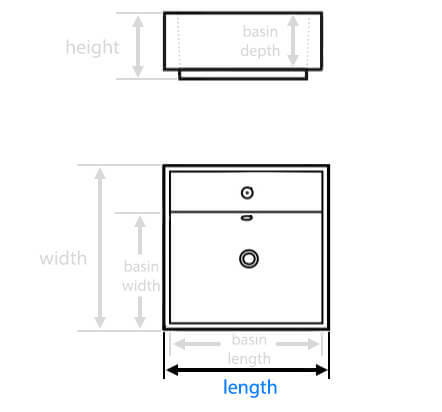 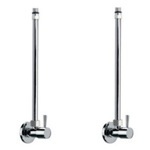 However, standard height for a sink to be mounted is typically around 33"-36". 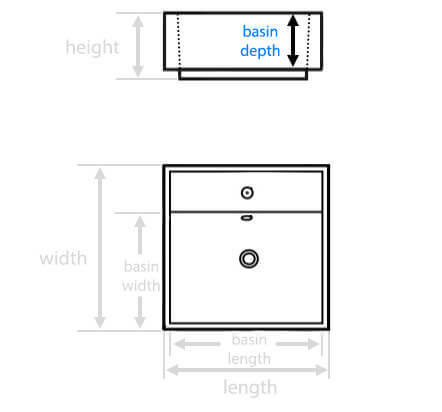 Water lines are generally placed at 22 1/2" up from the floor, however, will be dependent on your current plumbing locations. 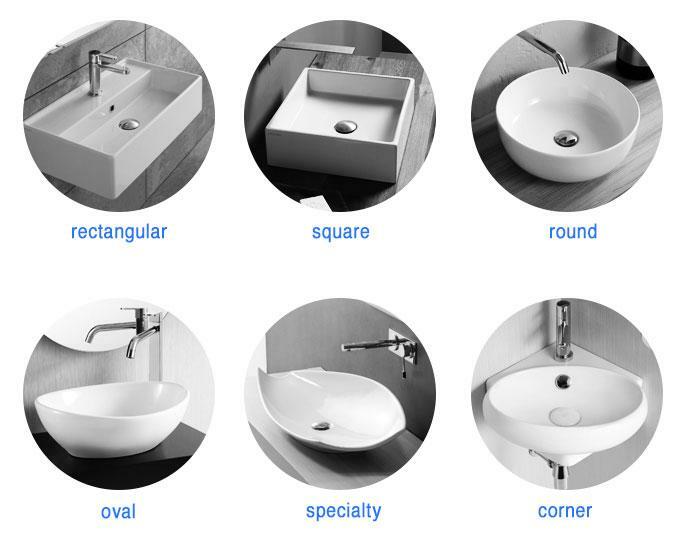 Do you have one with the sink on the right side? 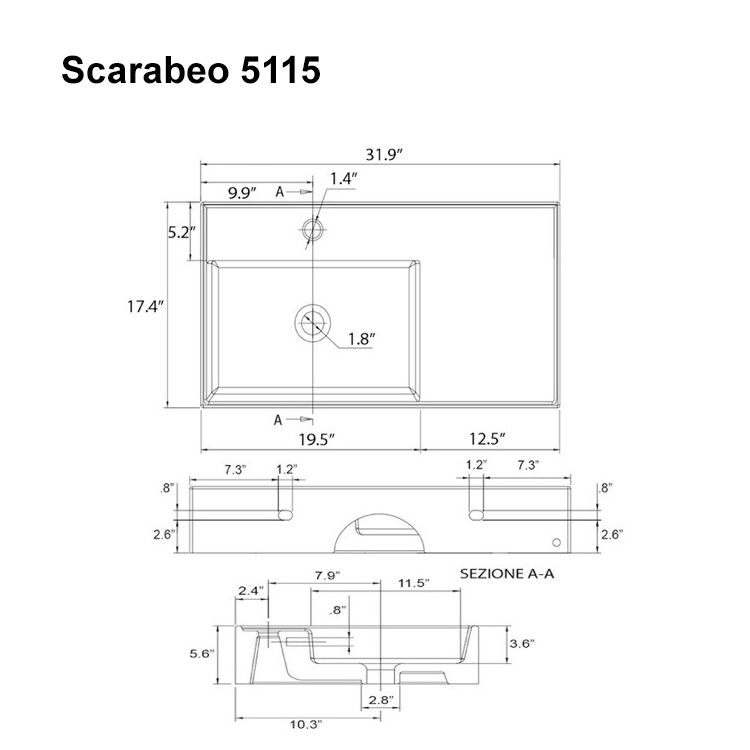 Yes, please see the listing for Scarabeo 5118.